Hey Robin , it's good to see you don't do anything by halves. Hopefully you get it back together in time. 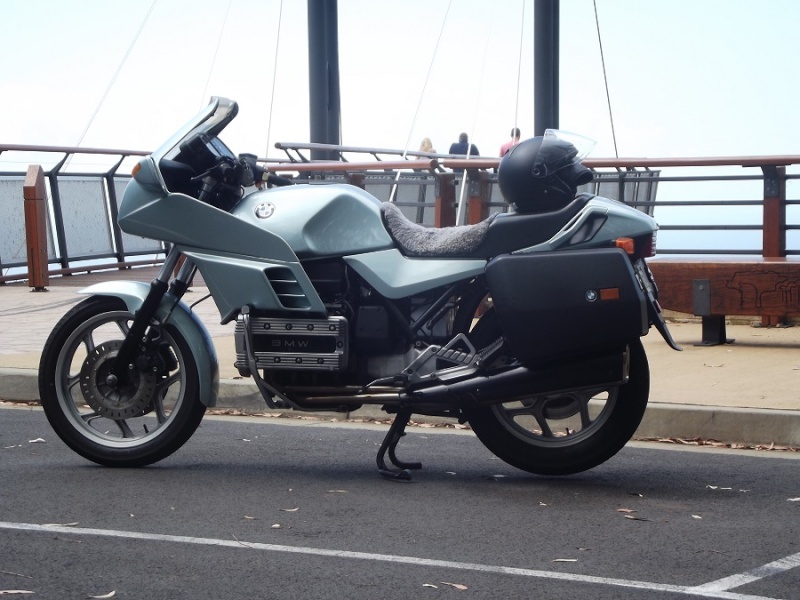 otherwise you could always plead with the young bloke for a loan of his F800R. When the fog lifted at about 7.30am today, with all my chores done on Saturday. and the wife and kids in Brissy still, I didn't need much convincing to take the RS out for same exercise . I decided to take the route we'll take on the 23/11, I wanted to see the total km's we'll do on the day. 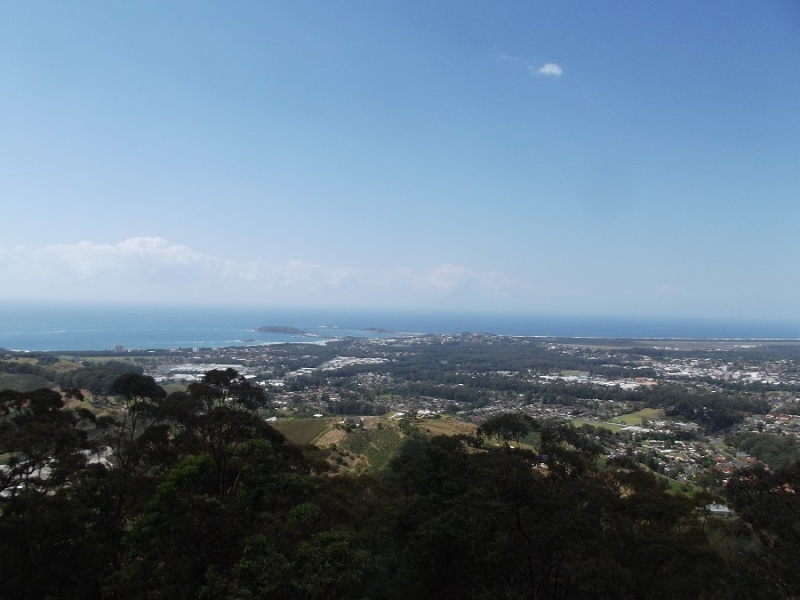 I left at about 8.00am and rode down the waterfall Way and through Coffs Harbour to Sealy lookout, I was going to stop for coffee in Dorrigo but was enjoying the ride to much. 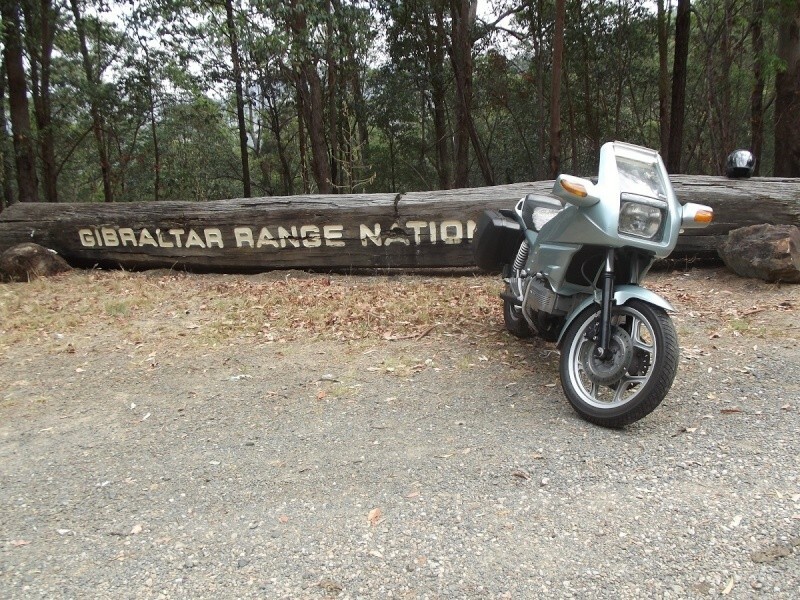 After leaving the lookout I rode to Nana Glen and had coffee at the Idle In Café , had a yarn with some top blokes from the Grafton vintage motorcycle club, checked there bikes out then went to lunch at my folks place at Nana Glen. 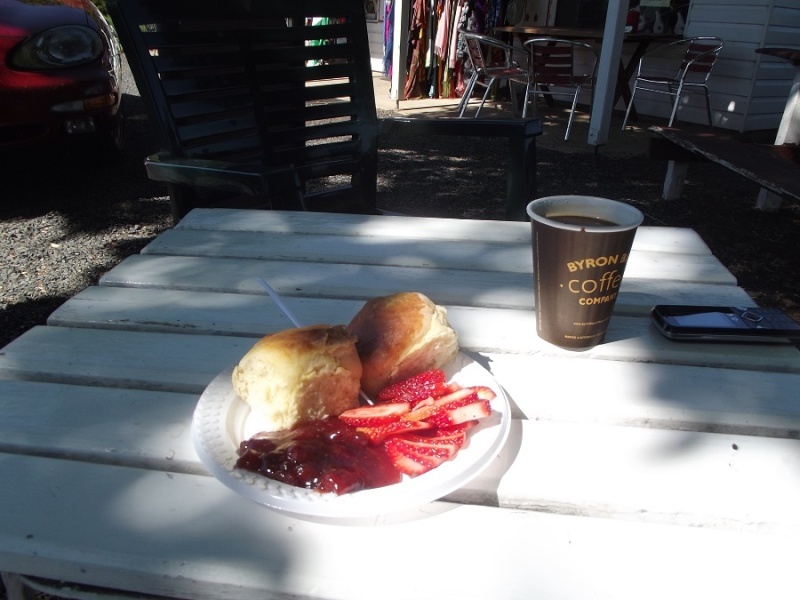 After lunch at about 1.00pm I rode on to Grafton with a quick stop at the Golden Dog hotel on the way through Glenreagh, After fuelling in Grafton I rode on to the Gibraltar Range and then to Glen Innes for an afternoon snack at the Super Strawberry, then back to Guyra. 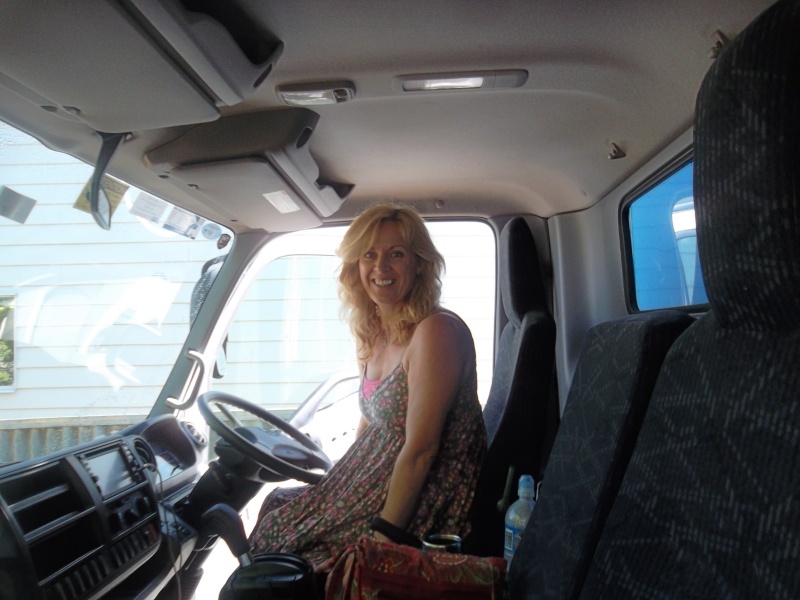 In total I travelled 500km's, with a stop for lunch and a few coffee stops, I was back in Guyra at about 4.30pm. Though I must say it was a quick trip across the Gibraltar with the taco mostly 5000 rpm or higher. This has been a playground for me for over 25 years, living in the Orara valley for 18years and now Guyra for 8 years I never get bored with riding these roads. I normally don't stop and take pics , but after seeing the great pics that TWB posted, I did stop and take some teaser pics . last time I came up the gibraltar ...with alby we hit a total "white out" freeze event about there ...so needless to say we didn't stop for a pic that time . @smithy wrote: Hey Robin , it's good to see you don't do anything by halves. Hopefully you get it back together in time. He won't let me ride the F800 but this blue one is still here. Took it out over the weekend to put a charge in the battery. It's seems to be running well. Between now ans the end of January it's hard to sell anything except Christmas things. People are either buying, saving for or getting over Christmas. @RicK G wrote: Between now ans the end of January it's hard to sell anything except Christmas things. People are either buying, saving for or getting over Christmas. They don't call it the silly season for nothing, your right people seem to run up there credit cards before Christmas then take months after Christmas just paying them off. Well it looks like you'll have a bike to ride after all Robin. @smithy wrote: Well it looks like you'll have a bike to ride after all Robin. Might not be a blue beemer though. Well that deal fell through but what a bike. It's Aprilla's version of a sports touring bike. It was only in production for about 3 years (02-05 ?). The motor is smooth as silk, no vibes at all, the gearbox/clutch was also silky smooth, no clunks anywhere and didn't it go. It had staintunes on it but I didn't like the sound to be honest, it does not sound like a duke. I'd be saying goodbye to my drivers licence quick smart if I got that thing. This trip better come off, I just polished an old exhaust and headers to a gleam and swapped it over onto the Blue Max, just so I can gloat. (No rain, no gravel and no grasshoppers on the way). Obviously I have to get a life. @RT wrote: This trip better come off, I just polished an old exhaust and headers to a gleam and swapped it over onto the Blue Max, just so I can gloat. (No rain, no gravel and no grasshoppers on the way). Obviously I have to get a life. Thanks Rick, just what I need. I'll have to carry a bucket and electric pump to wash her down now. I love it when you are next in line at the roadworks red light and as it changes to green the water truck pulls out in front of you. Commie plot. Speaking of commie plots etc saw some pinko road workers on Tuesday, they had fluro pink safety vests on. Me and Marg got all the way down to Tottenham and then back to Tenterfield before the buggers got me. I really thought I was going to make it all the way. Just in case you have put the mocca's on me (mokkers?). We will let Bella know. stunning job bob ...gee I like that ! Smithy, I'm sad to say I won't be able to make the tablelands ride. Work & family commitments have caught up with me. I guess trips to Mackay in Qld, Tottenham, Phillip Island and your Northern Tablelands ride all within about 3 months was a bit too much to hope for. I'm sure it will be a great weekend for all - keep the rubber on the road and try not to contribute to government revenue. Hey that looks great RT, maybe we all should give the K's a spit and polish for a group photo for the photo contest, are we allowed group pics? Anyway I'm sure we could find you a bucket & chamois in Guyra . As I don't have Friday free , it looks like I'll probably head straight up the coast to Raleigh on saturday morning ,leave early in the cool. Smithy what time do you think you will strike that area ? I'm thinking around 10ish. Is there a good spot to meet? Hey Ed we'll probably stop at Dorrigo for coffee on the way, so by the time we come through the promised land and onto the coast road it could be 11.00 ish depending on what time we get away from Guyra. 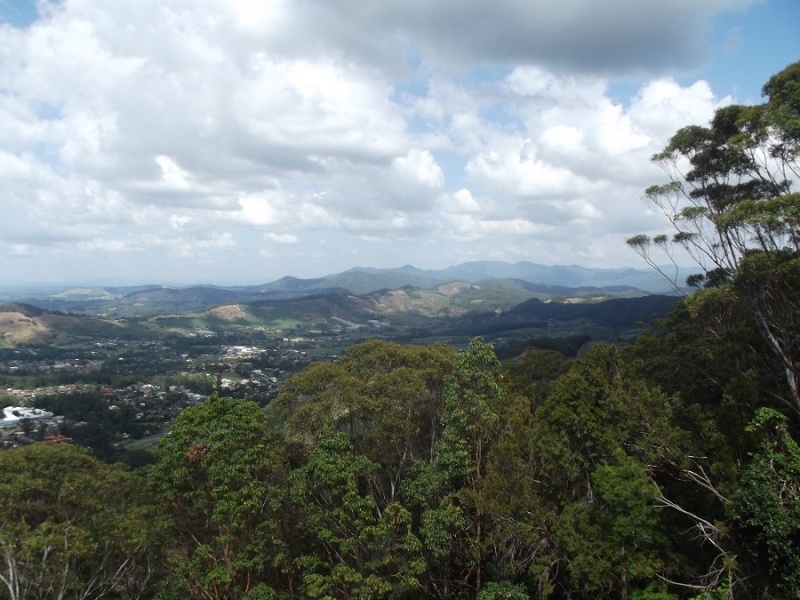 You could take the Bellingen turn off and before you get to Bellingen there's a fruit shop with fuel on the left. I'll pm my mobile number so you can send me a text and let me know how your traveling for time. @smithy wrote: Hey that looks great RT, maybe we all should give the K's a spit and polish for a group photo for the photo contest, are we allowed group pics? Anyway I'm sure we could find you a bucket & chamois in Guyra . No chance of spit & polish for mine. It'll be a multitude of colours, rust, dirt etc, but with luck it'll be going. I think you have to be a bit Jack Nicholson to get them as good as it gets. Also helps having a spare off the bike to play with. They just re tarred my exit road today, and 30 deg means it's melting. Trying to make an aluminium guard to keep them clean. Where's that soap. @RT wrote: I think you have to be a bit Jack Nicholson to get them as good as it gets. Also helps having a spare off the bike to play with. They just re tarred my exit road today, and 30 deg means it's melting. Trying to make an aluminium guard to keep them clean. Where's that soap. Foil Bob. You can peel it off just before you turn into Schoorn's drive and amaze everyone. Just don't grab the Glad Wrap by mistake. RT the soap is Sunlight soap, use it on fine or super fine steel wool to remove grime from alloy and gives it a great shine. All colours welcome Phil, it'll be good if you get it back together for the ride. Planning on leaving sydney about 11 on Friday and just doing the 8 hour run to Guyra to arrive on sunset. It'll be good if you can make it rossko, it's looking like we'll get a good turn up for the ride. Should be good. Maybe a deal can be struck. On another note, the R1100RT tipped over today while strapped to the jack with no wheels on the bike. It took a lot of effort to get it upright again. I'm yet to see what is broken after that little episode. It is in the midst of a refurb. Hope it works out for you Robin, what's the K ? thats a real bummer Robin , lets hope it is minor . it helps balance the bike. usually done when taking both tyres in for renewal. sorry for not suggesting earlier. how did your K preview go ? maybe a surprise for the gang at Guyra in a couple of weeks? I forgot I left the back wheel off to balance it on the jack. Once I pulled the front off to change the disks, it was just a matter of time till it went over. There was a lot of weight on the back disk as it went and that can't be good. 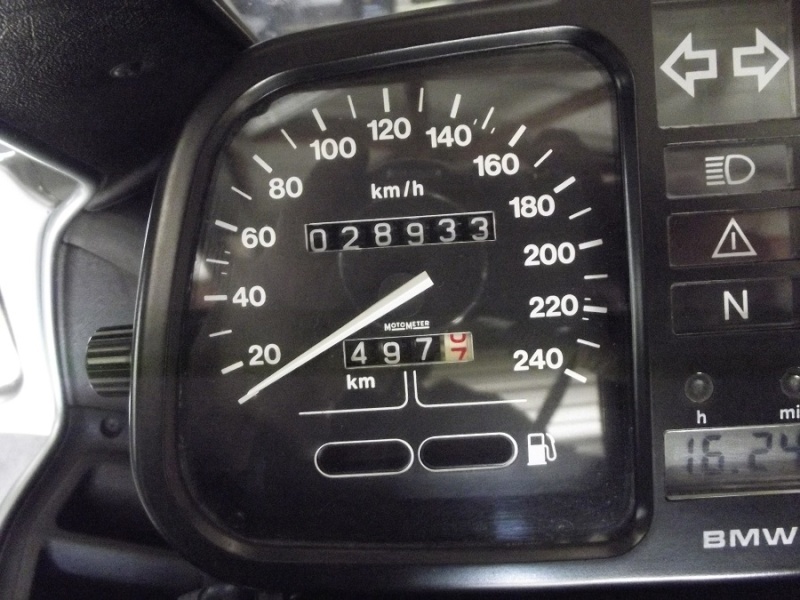 That K was an '03 1200 RS with 83K Kms for $5.5K. Very smooth ride indeed but it has a very aggressive seating position, I really had to reach for the grips. You'd need to spend a bit of time and money optioning up the seating, bars and pegs to suit. And I can't realistically park another bike here, the RS boxer has to go first. Ok, so can people give me some indication as to who might like to stop over with us here in Guyra? First in best dressed for the spare room and there are 3 other mattresses that can be thrown on the floor. There is also plenty of yard for throwing up tents etc. Kerry showed up on Sunday afternoon driving a truck full of furniture and announced that I have lost my freedom and had I had a good time in my previous incarnation as a bachelor? Luckily for me she comes fully accessorised with a motorcycle licence, her own hillbilly dog and her own biking kit. :)Please be nice and respectful to her. :-) ( Which I know you all will anyway so I don't know why I said it) . Thank you for the offer Sean I will take one single with a power point for 2 nights. annoying you all night. (er from that you can deduce that we will be there on Friday for Evesong but can entertain ourselves Royally). Haven't heard from Waz yet. Better get your address secretly at some stage if you don't mind. You'll be especially pleased to know that they are doing RT work on Thunderbolt's Way at the moment. Went down to Gosford on the bike last weekend and they have it organised so the water truck goes through just ahead of you, making that lovely slurry effect which clings beautifully to zorst headers. Room for one please Schoorn, if still available. Otherwise I can join the Schnorers on the floor. I detect a plot. 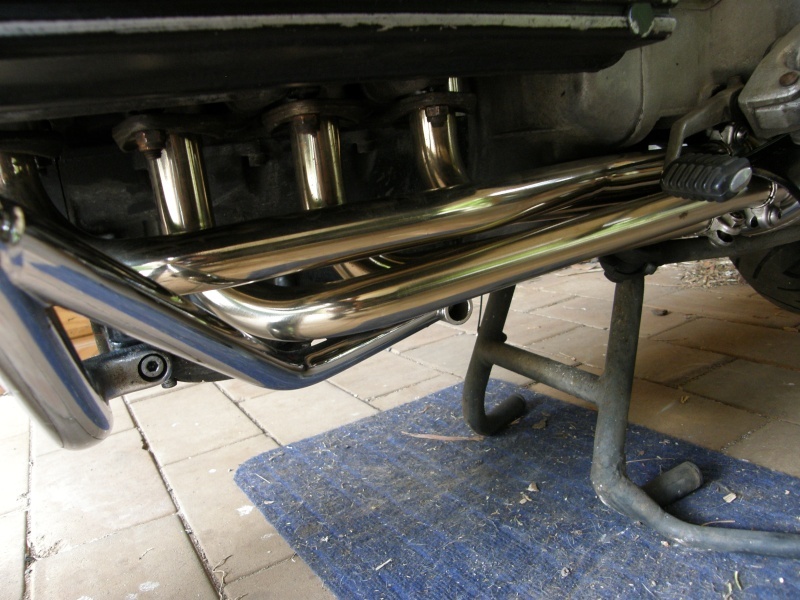 No matter, I pulled another one apart yesterday, I'll carry spare polished headers and do a quick( ) changeover. Damn. That shed aint big enuff for the two of us. wonder when I should tell my wife? 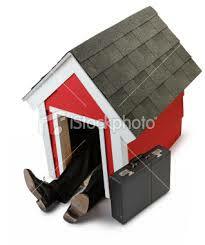 Hey rossko , Don't worry about the space in Sean's car shed, it's possible you could end up here when you get back home. rossko wrote: I am still hopeful. JK, that is the route of boredom. Thankfully the route planned by Smithy on Saturday is the route of a thing that is better than boredom. @RT wrote: Rickmeister and I are booked into the Royal Otel for 2 nights. What's the pub cost for a bed? I might have a bike working by then. $50.00 a night for a two bedder. Ulrich snores but I have found the perfect amount of alcohol that keeps me asleep. The Royal's phone number is 02 6779 1005 if you need. Is the Royal Hotel better or on par or worse than the Guyra Hotel? The Guyra Hotel is about 50 yards closer to Schoorn's. Less distance to stagger walk. Especially when two steps to the front means at least one to the left and a bit of a skip behind while tripping on a non existant crack in the pavement.